Brylle San Juan was watching the Southern California fires rip through Ventura when he decided he needed to do something about it. He rounded up four friends, a few water hoses, and set out to join the firefighters in their attempt to save the county where he grew up. He and his friends followed the glow from the flames 14 miles until they pulled over in his Honda Civic. They spotted several houses on fire, as well as a large apartment complex engulfed in flames, reported by CNN. “It was kind of stupid of us to do so, but everyone wanted to help,” said San Juan. The firefighters warned them to not get too close to the flames, but that didn’t keep these courageous young men from doing whatever they could to help protect this community. Other neighbors soon joined the effort as they used garden hoses and buckets of water to douse the structures that have yet to catch fire in hopes to prevent the flames from spreading. San Juan, a student at Ventura College, believes he will come back today to keep fighting against this horrific fire. 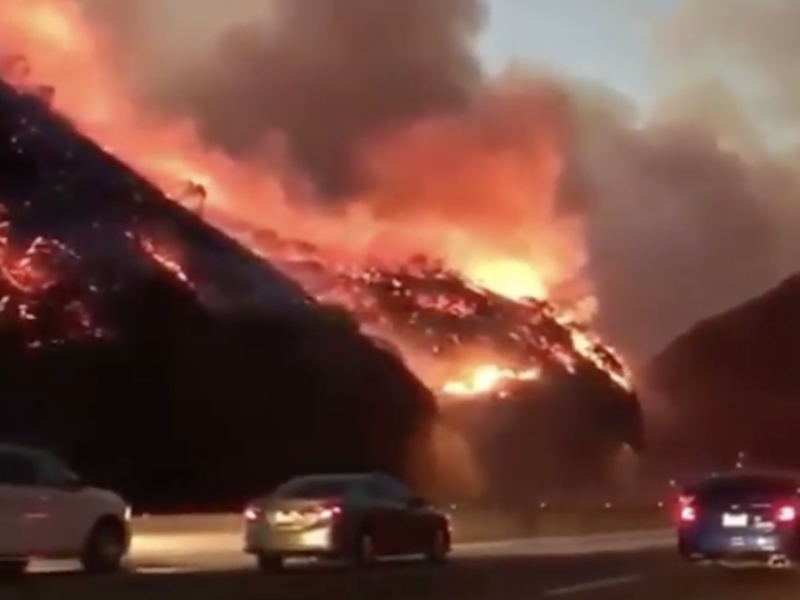 As we continue to pray for the safety of the citizens of Southern California, it’s encouraging to hear this story of brave friends and strangers banding together, risking their lives for the sake of their community.